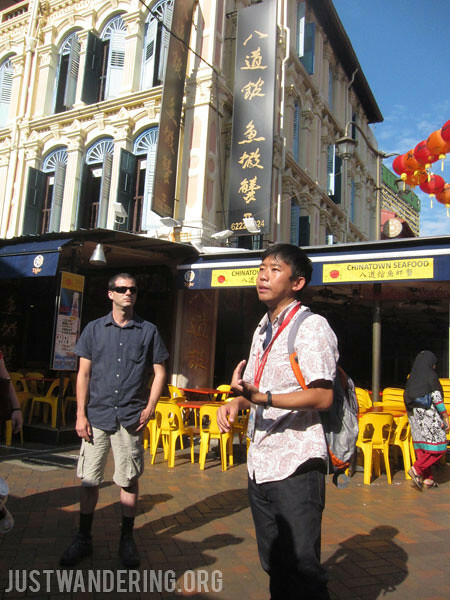 A couple of years ago, Wei started Indie Singapore, a guided tour company that offers free walking tours of Singapore’s Chinatown, Kampong Glam, and the Civic District. I’ve been meaning to take the tour, but the schedule didn’t match up until my trip last January. The free tours are offered every Tuesday, Wednesday, and Thursday. This may be disheartening news for weekend visitors, but to visitors who are in town to visit family and find themselves with nothing to do on a weekday since everybody’s either at work or at school, this is perfect. What’s great about touring on a weekday is that the places aren’t crowded, unlike in the weekends. It starts at 9 am, which is also great, since the morning rush hour has already passed. There is also a 30-minute break, which is perfect because you get to rest a bit, hydrate, and try one of Singapore’s best Hainanese Chicken Rice. If you missed breakfast, this is truly godsend. It is a full tour, and you don’t feel as if it’s a watered down version just because it’s free. 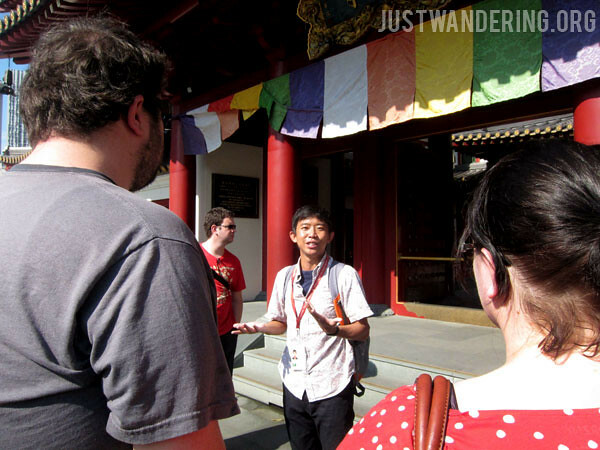 Wei really knows his stuff, and he welcomes questions about the places and practices of the locals. 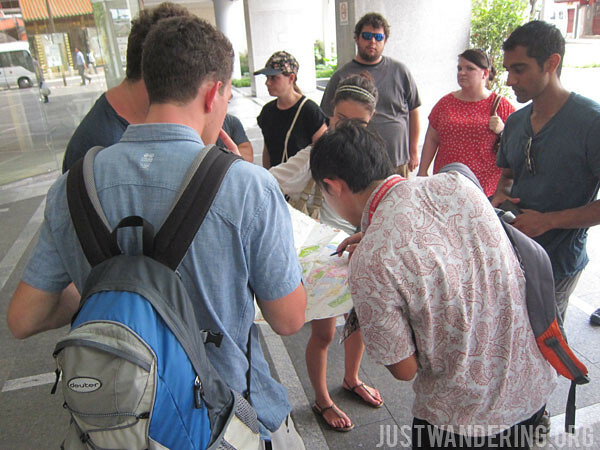 He even points out the places where to get the best views of Singapore for only SG$5 (perfect if you’re too cheap for the Singapore Flyer and the Marina Bay Sands). The tour route is well thought out, and it takes you through pathways you would have probably given a miss or not have found at all. There’s a fair bit of walking yes, but it’s not a hard trek. It’s pleasant walk through Chinatown. But do wear your comfortable walking shoes, and dress appropriately for the weather. The tour is free. Indie Singapore do accept tips if you think they did a great job. That is entirely voluntary, and the amount is up to you. They ask though, that you give them a review on TripAdvisor or to share your experience on your social networks. Not a bad exchange, I think. Wei didn’t ask for this blog post, and he didn’t accept the tip I wanted to give him. Instead we had cake. Tom’s Palette – It’s a great ice cream place with fantastically unusual flavors! My favorite was the salted egg ice cream. MAAD – The Red Dot Museum holds a once-a-month Market of Artists And Designers. It’s always on a Friday, but check their website when the next one will be. It’s a great place to shop, if you’re looking for something different. Flor Patisserie – A Japanese-style cake shop, they have really great light and fluffy fruit cakes. Pair a slice with their Ice Cheese Tart. You won’t regret it. 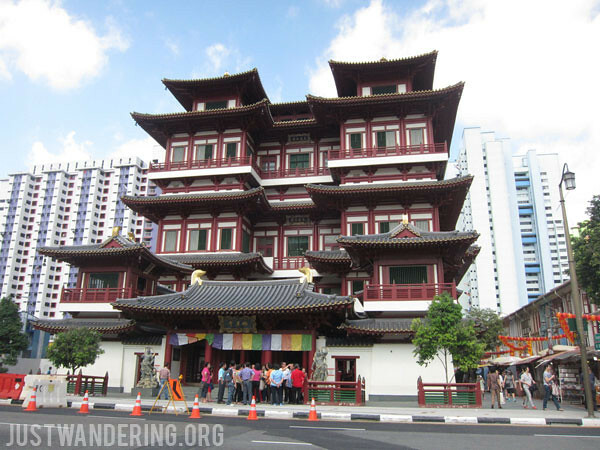 Indie Singapore tours Chinatown on Tuesdays, Kampong Glam and Bugis on Wednesdays, and the Singapore River and Civic District on Thursdays. Though the tours are free, there are limited slots in each one, so do email them to inform them if you’re joining. That’s great. I love that they do it for free but how are they making a living? Do they just waste energy introducing their country?